Arts Muse was very excited to talk with Sam Callahan about his new released song ‘bigger Things’. The profits will be donated to the Teenage Cancer Trust, in honour of the battle of his best friend against the disease. Let’s start with when and how you first become interested in music? I guess I’ve always been a bit of a show off so the performing thing kinda came naturally to me! But I bought a guitar with my pocket money when I was 12, it sat in my room for a while, until I finally decided that I’d spent the money, I better not waste it. That’s when I started to write and discovered I was actually quite good at it! From then on it became my main way of getting feelings and stresses off chest! Then I began to grow with my music and create my own sound. I love it, it’s awesome! You started off at XFactor, how did this influence your career during that period? And your personal life? X Factor for me was a massive learning curve! I’d be lying if I said it wasn’t an emotional rollercoaster too! Some of the best experiences of my life so far where on or have come from being on the show, like the 42 show arena tour we did or performing to 12,000,000 people every week on TV! However I also think the endless differences of opinion and good and bad advice given to you by everyone from judges to artists, producers and even general public etc, can leave you very confused as to who you really are and what you’re about! That happened to me after they cut my hair and made my into some kind of Essex boy Ken doll. I went in knowing myself 100% as an artist and lost it a little. It’s taken a while for me to find that again. However I am there now, doing my own music and everything is getting very exciting again! How did the show influence you and your career after leaving XFactor? I think the lessons learnt on X, set you up quite nicely for the big wide world and the harsh machine that is the music industry! I loved the tour we did post X Factor most and it gave me the determination to achieve that all again, but this time have those 10-20,000 people turning up each night to see me, for the artist I am and the music I make, not just for singing other people’s covers! I have an AMAZING fanbase and I am loving seeing them grow with me and all become a family! I can’t wait for that to happen! Why did you choose for this genre? What is the song about? What makes the song unique compared to others in the same genre? My sound is I guess what you’d call Pop/Rock – I love real instruments on my tracks too. My writing has developed a lot over the years, but everything I write has a certain vibe, which I’m really with, I feel it’s important to keep that consistency to your music! I wanted the main track on my EP to be really heart felt and kind of anthemic! Yes, okay, so it’s a love song! But Bigger Things is about much more, it’s about focusing on the bigger, more important things in life and not letting silly, trivial arguments and petty issues ruin something special, something that means the world to you. I think this is an important message because it’s crazy how often these days we see important things ruined because of something that in the grand scheme of things, probably really doesn’t matter! Can you tell me more about the collaboration with the Teenage Cancer Trust? Of course! I start working with the Trust a couple of years back when I met my friend Jayde who was in remission from her first battle with Cancer. In early 2014 I was on the X Factor tour when we did a show at the Brighton Centre. At this time Jayde was unfortunately battling Cancer for a second time in a hospital close by! I went to see her before the show and the nurses allowed me to take her and a couple of friends to watch! During the intro to my rendition of Jason Mraz’s “i won’t give up”, I saw her in the audience and said “This one’s for you!” Jayde told me that she would never forget that! After beating the illness once again, a few months ago, I got a phone call. It was Jayde. She told me that the Cancer was back for a third time and that the nurses may not be able to do too much for her this time as her body has been weakened from the countless sessions of Chemo that she’d already had. As a friend, as I’m sure you can imagine, there is not much you can do. So I decided to write a song. I called the song “This One’s For You” and I am releasing this on the ‘Bigger Things’ EP. I decided it was a good idea to work with The Teenage Cancer Trust in honour of my friend Jayde. After all, I want to do all I can, I’ve witnessed the impact Cancer can have first hand on it’s victims and their families, not just with Jayde, but with numerous hospital visits that I have done all over the country, and I really wish I could make a big difference. One person may not solve the issue, but we can sure as hell try! What is the next step for you? 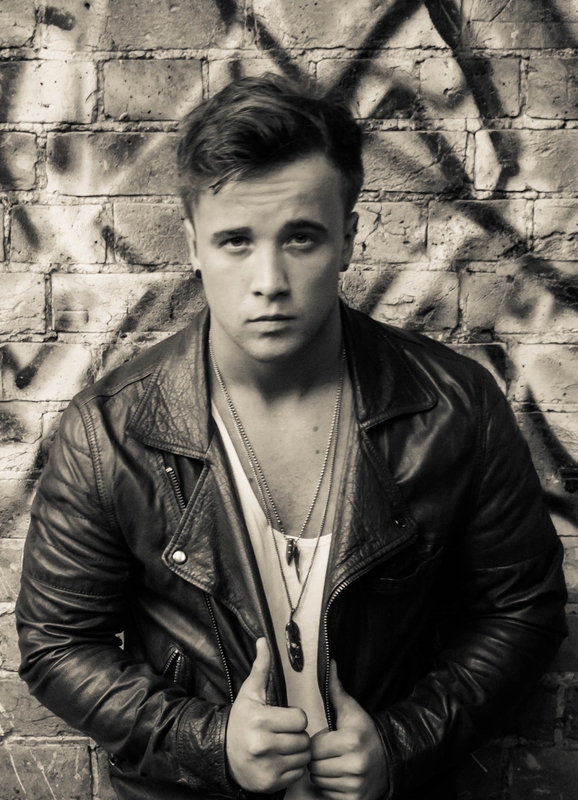 What can we expect from Sam Callahan in the near future? I am gigging all over the UK at the moment! I want to get to all corners of the U.K. and meet as many Callafans as possible in the next year! Then I want to go over seas with my music too! Britain is awesome, but we’re very small! I maybe a little guy, but I have big dreams! I also have TONNES of unheard music that I have written, so I’ll be recording a lot in the coming months and looking to release that. Last but not least, if I can find time, I would like to do my own tour! I had one organised before but it had to be rescheduled which I was gutted about! So yeah, there’s definitely ‘Bigger Things’ on the horizon! See what I did there? Thank you for the interesting interview and good luck with your uprising career! ← John Galea’s highly anticipated ‘Notes From My Piano’ tour in the UK!